These free Mother's Day poems are a wonderful way that you can let your mother know just how much she means to you. No matter how long your mother has been your mother, she is sure to appreciate these touching Mother's Day poems. There are all sorts of Mother's Day poems here including those dedicated to your mom, your wife, your grandma, ​or someone who has been like a mother to you. With almost 500 of them, you'll easily find one that will help express your love for mom. If you don't want to read the poem to mom, consider sticking it into one of these ​free Mother's Day cards along with some free, printable Mother's Day love coupons. What a nice surprise she'll get when she opens it. Little ones will love to color these Mother's Day coloring pages to celebrate mom even more. If you are looking for a short poem to put in a blank card or a handmade card, the Mother's Day poems over at Homemade Gifts Made Easy are perfect. There are 10 poems that range from religious to sentimental, and mom will love them all. There's a huge list of free Mother's Day poems here and they're simply beautiful. You're sure to find a poem here that's perfect for the mom in your life. There are Mother's Day poems for just about any type of mom here, including daughters and first-time mothers. All of the poems on this website are written by Nicholas Gordon and free for personal use. Over 50 Mother's Day poems await you at Mother's Day Celebration that includes casual poems, funny verses, and more traditional verses for the mom who loves good literature. There's a good mix of lengthy poems here as well as short verses that would be perfect for mom this year. You'll find a great collection of free Mother's Day poems at TheHolidaySpot. In addition to your traditional Mother's Day poems, you'll find poems for daughters and grandmother's. There are also a few poem images that would be wonderful to post on mom's Facebook wall or send to her in an email this Mother's Day. Some of the Mother's Day poems here are great for young children to give to their mothers while others are more appropriate for an older child to give. At the bottom of each poem, you'll find definitions for difficult words as well as some extension activities for children to complete about each poem. It's a wonderful way for a child to really take the time to appreciate all that their mom does. There's also a lot of Mother's Day poems here specifically for military moms, which is a nice addition. Poem Source has some Mother's Day poems that include funny rhymes, a prayer, some songs, and Mother's Day cards geared for grandmas, sisters, aunts, and friends. 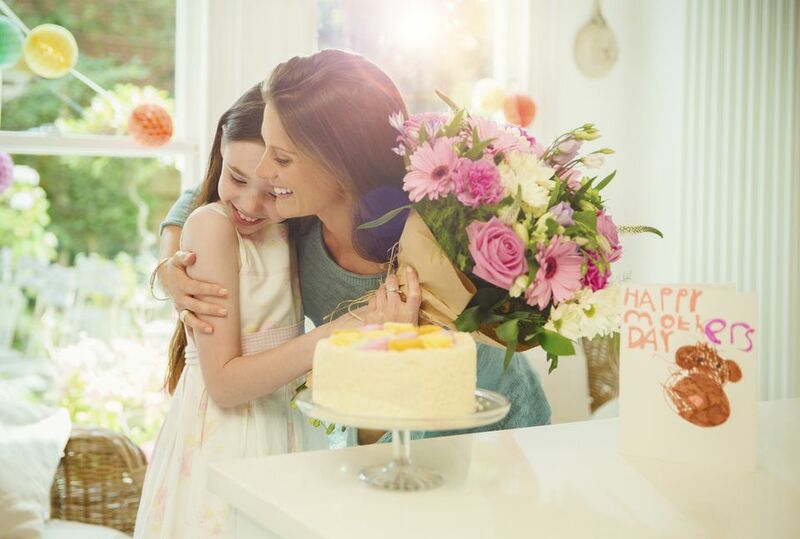 You'll especially love the Mother's Day poems from daughters, from sons, and from young children all to the mom that means the most. Shirley's Preschool Activites has a wonderful collection of Mother's Day poems that can be used in cards or on a picture. They are especially for mothers of young children. These would also serve as wonderful inspiration for a child to write their own Mother's Day poem. Family Friend Poems features poetry written and submitted by their users. These Mother's Day poems include favorites as voted by readers. There are over 50 poems here that will touch mom's heart and make her feel just as special as she is.